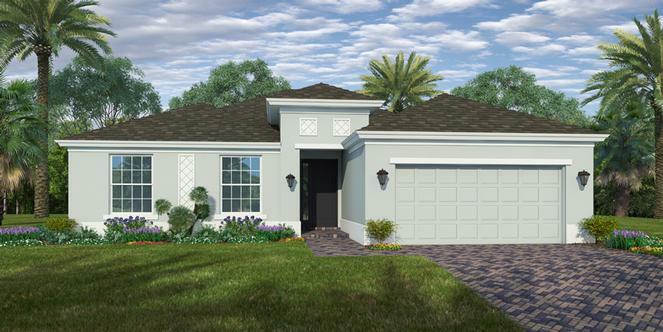 GHO Homes newest and very popular floor plan: Our Marlin 4. IMPACT Windows throughout. 9'4-10'8" ceiling heights with 8' DOORS. Tile in All Living Areas, Gourmet Kitchen with Double Ovens and Pot and Pan Drawers with Quartz tops and . Hi hats and Floor Outlet included in the Great Room. Laundry Tub added to the Laundry Room. Paver walk and driveway, entry and covered rear patio. Private well with irrigation system and fully sodded yard (floratam). Cultured marble tops and tub/shower tile throughout the baths.